Uber is pushing to become the world’s next airline — without buying any planes. Instead, the company believes that a fleet of flying cars could solve the dilemma of daily commutes to work and between meetings in increasingly congested cities. And with the announcement on Wednesday that Uber has secured a contract with NASA to develop software to make “flying taxis” possible, that push seems one step closer to reality. This is nuts. We already have the technology — information and communications technology — that makes daily commuting to a distant office unnecessary. As readers of this blog know, I am firmly in Macrae’s camp. I have a couple of issues with this analysis by Greg Rosalsky. It contains the implicit assumption that knowledge workers commute in order to have real time, face to face conversations with their colleagues every Monday through Friday. The value of these co-located daily discussions is cited to justify the daily commute. That might hold true for those working in intense think tank work environments like Google’s Moonshot Factory where the job is a group exercise of spitballing and deeply analyzing concepts for their practicality and most importantly, their potential monetization. That’s more akin to a live-in academic residential fellowship than the usual type of work most knowledge workers perform with most of its components and deliverables in digital form accessible from most anywhere. In fact, many of them find they are more able to think and concentrate outside of centralized, commute-in office spaces such as in quiet home offices and communicate quite easily with colleagues using online collaboration tools. Rosalsky’s article also repeats the “urban centers are cool and people want to live there” to partly explain why we continue to commute to centralized offices in metro areas. But as Rosalsky also notes, the cost of living there is quite high. It’s often out of reach for all but the highest paid knowledge workers and is itself a factor driving lengthening commutes to distant locales where housing is affordable. To Rosalsky’s credit, he does mention the personal costs of commuting borne by knowledge workers — and indirectly by their organizations due to the adverse health and wellness impacts of daily commuting. I would argue that the maturation and proliferation of information and communications technology has brought us to the point predicted by Macrae where for the vast majority of knowledge workers, the costs of daily commuting can no longer be justified nor the expense of maintaining centralized, commute-in office space for their organizations. As I look out the window of my California Housing Finance Agency office in downtown Sacramento at 5 p.m. on a Wednesday, I see a lot of cars.Filled with public employees, teachers, nurses and construction workers, the cars aren’t going to nearby homes. They are lining up to jump on the freeway and drive to the distant homes their drivers can afford. These are middle-income, working families who can’t find housing in the region’s most important job center. And this isn’t just a Sacramento problem, it’s a California problem. Actually it’s not just a California problem. It’s present in many if not most metro areas. It will be an ongoing issue as long as knowledge industry jobs continue to be concentrated in metro centers where housing is costly, forcing knowledge workers to live elsewhere — often more than an hour away over congested highways — where housing is affordable. Building more affordable housing in metro centers is far easier said than done and can take decades of political and regulatory wrangling. A far faster and less costly and complicated solution is leverage today’s information and communications technology (ICT) to bring knowledge work to the communities where knowledge workers live, working in home or satellite offices or co-working facilities. Leveraging ICT doesn’t mean there are no infrastructure costs over the long term. 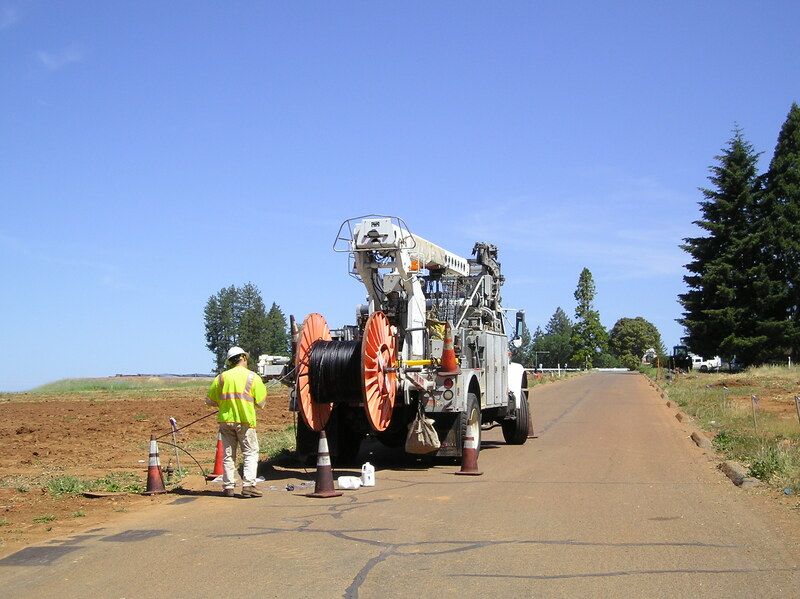 The infrastructure for the 21 century is fiber optic cable. Dubbed the “Information Superhighway” by Al Gore, it should be given the same priority and funding as roads and highways were in the 20th, particularly to deploy it to outlying communities with the greatest need for telecommunications infrastructure modernization. Let’s start with the bad news. Commuting, that scourge of modern life, will not go away. Skip forward a few decades, and the Bay Area’s clogged roads won’t magically clear. Getting to work will still take time. But you may actually enjoy it. And you’ll have a few options that don’t exist today – some of which could radically change the way California grows. To start with, you probably won’t be doing the driving. Whether you’re in your own car, or in a shuttle van or bus with fellow commuters, the vehicles will drive themselves in most if not all circumstances. And they’ll be electrified, so no more choking exhaust. The problem with this prognostication is it assumes commuting to a centralized office setting will continue well into the 21st century. And along with it, the problem of moving enormous numbers of people over increasing distances so they arrive and depart their offices in a relatively short time window each day. It’s an outdated 20th century analysis. It views commuting as a transportation problem when in fact commuting itself has been obsoleted in the present decade by the maturation and proliferation of information and communications technology (ICT). It’s no longer necessary to transport human bodies to perform knowledge work daily. ICT makes it possible for knowledge workers to do their work in the communities where they live rather than wasting uncompensated personal time every weekday commuting. We don’t need to wait decades for electric cars to be perfected and automated public transit and hyperloops to be built. 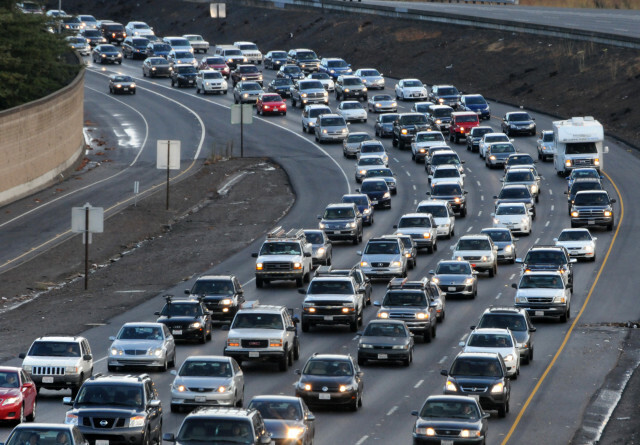 We have the solution today — right now — to end the needless bane of the daily commute. Bosses acknowledge that remote workers don’t suffer from productivity problems. Research has found telecommuters who can work outside normal office hours and don’t have to spend time commuting often are more productive than their cubicle-bound counterparts. Rather, managers want their teams within view and are willing to trade some efficiency for the serendipity that office-based conversations might yield. Although information and communications technology (ICT) has eliminated the need to commute to an centralized, commuter office (CCO) every work day, many organizations stubbornly cling to the old paradigm out of habit even as peak hour traffic congestion grows and makes it less practical and inaccessible. Diane Mulcahy notes executive and human resources professionals contend the CCO supports team-building, culture and collaboration. That’s likely true. But it comes at a terrible personal cost to staff member wellness and work satisfaction, not to mention the cost of maintaining CCOs. It’s not a good and sustainable tradeoff and it’s time to acknowledge that circumstance. Silicon Valley ICT companies adhere to the CCO model, building huge, high dollar corporate campuses and busing staff there daily from San Francisco over jammed freeways. In the larger scheme, to solve this problem requires rethinking knowledge work. To what extent does it have to be done face to face and what can be done without staff being co-located? If team members must be in close daily proximity over the course of a project, a brainstorming session or an agile sprint, might that be done on a temporary basis with team members housed in close proximity so they don’t have to commute? In this framework, the CCO is replaced by a conference or meeting facility, with knowledge workers spending most of their time working in their communities in home offices or satellite or co-working spaces. 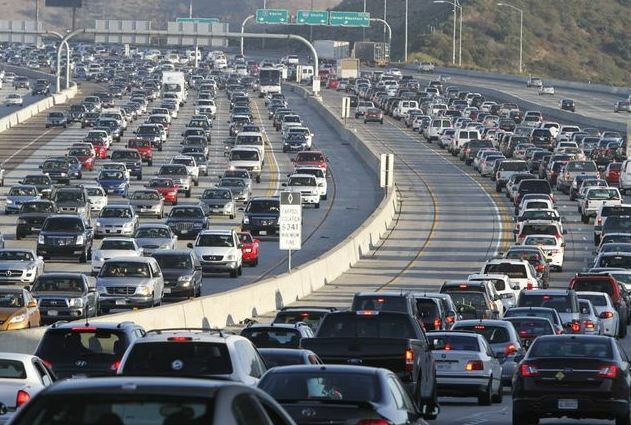 The solution to traffic congestion has to come from the demand side since adding more freeway lanes or smart vehicles isn’t the answer. That will require knowledge and information economy organizations to rethink how they manage and allocate resources. The built environment of the Valley does not reflect the innovation that’s driving the region’s stratospheric growth; it looks instead like the 1950s. Looking at aerial views of midcentury campuses like the Eero Saarinen-designed Bell Labs next to contemporary ones like Apple, it’s nearly impossible to tell the midcentury structures from the 21st-century ones. Designing job centers this way contributes mightily to the region’s ever-worsening traffic. If you found yourself stuck on Highway 101 between San Francisco and San Jose, you’d really see what Silicon Valley looks like for many. Building campuses on isolated suburban tracts guarantees long commutes, and this is one of the worst in the country. Kudos to Allison Arieff of The New York Times for raising this issue as I have many times in this space. I’ve also noted the irony that Silicon Valley’s legendary information and communications technology (ICT) innovation has effectively obsoleted the 1950s centralized, commute-in office (CCO), yet the region remains mired in commute traffic. As Silicon Valley tech pioneer Bill Davidow pointed out in his 2011 book Overconnected, those office complexes came about because the “killer app” of the 1950s was a combination of pavement (freeways), cheap gasoline and the automobile that made it possible to work in another location far from home. Now ICT allows knowledge work to be done anywhere, eliminating the need to move bodies over highways every work day to CCOs. That’s a real killer app for our time to slay commute traffic congestion — in Silicon Valley and other metro areas. 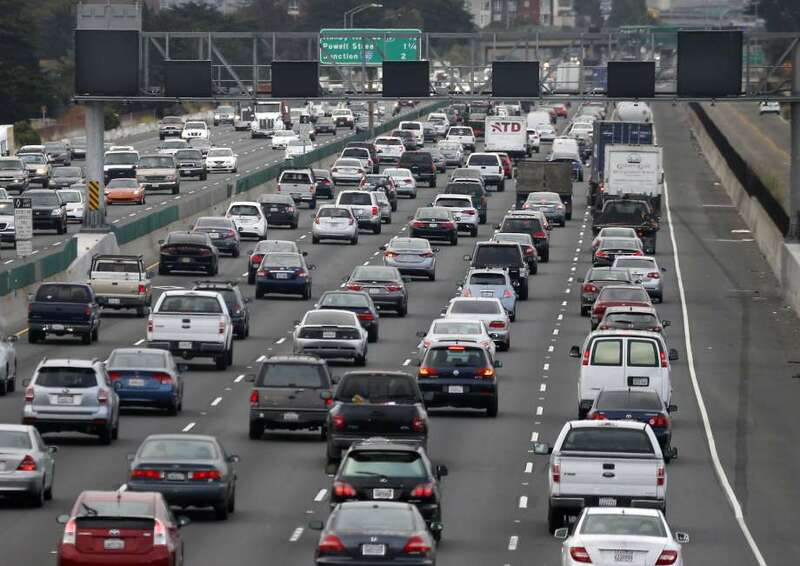 The crisis of too many cars deepens in the San Francisco Bay Area as does the paradox of one of the world’s leading information tech centers ushering in an information age economy still mired in Industrial Age rush hour commute traffic. Traffic that’s completely unnecessary given the information and communications technology Silicon Valley companies innovated that allows knowledge work to be done where people live. It’s a head scratching situation that makes one think the region is trapped in a time warp with the calendar reading 1966 instead of 2016. The Bay Area’s population was boosted by 90,834 people — the size of Santa Barbara — between 2014 and 2015, according to estimates in a U.S. Census Bureau report, dramatically outpacing housing and transportation needs of the region, experts say. […] the relatively steady upswing in the past five years, policymakers say, underscores deficiencies in housing supply and public transportation. “What should be a great story about job growth and very desirable communities is instead a story about housing displacement and gridlock,” said Gabriel Metcalf, president of SPUR. Roadblocks to increasing the region’s housing stock, he pointed out, include zoning laws that prohibit high-density housing, prolonged project approval processes and the fact that many voters are homeowners not directly hurt by soaring home prices and who want to minimize congestion for themselves. The unevenness, especially when new residents are living far from their workplaces, has increased strains on public transit lines. The crowded commuter trains were cast into an ugly spotlight in the past month as mysterious power surges knocked dozens of cars out of operation, and service shut down between the Pittsburg/Bay Point and North Concord stations. The San Francisco Bay Area is at a decision point. As this story points out, housing market dynamics in this large geographic region of nine counties increase the distance between where residents work and where they can afford to live, overloading highways and public transit systems. This extracts enormous costs on residents’ daily time budgets, pocketbooks and overall quality of life. The situation is unsustainable. The Bay Area must now decide whether it will continue to suffer, carrying on as if it were still in the less populated pre-Internet 1970s — when the aging Bay Area Rapid Transit District operated efficiently and within design capacity — or leverage its considerable information and communications technology moxie to replace daily commute trips to distant offices.